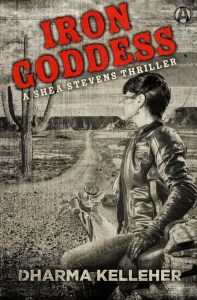 Shea Stevens is absolutely one of the more original crime fiction heroes to come along since Lisbeth Salander. Ex-con, lesbian bike mechanic Shea gets involved with a kidnapping of her niece when some bikes she crafted for her rockstar clients get stolen. She learned some badass skills from her biker gang dad that come in really handy as she clashes with cops, biker gangs and other enemies. The tone of this book is very dark and violent as are most of the characters. There are some positive things in Shea's live, like her girlfriend and some friends from work that make this story just a bit easier to digest. The prose isn't special but does its job. The story itself folds out nicely, but isn't too exciting or surprising. It has a very punk/metal feel to me which I enjoyed. The best thing this book has going for it is unique and tough Shea Stevens and I will be happy to see her return.